Growing young he deducted chrogram of his birth by this verse of the Holy Quran. In the age of 4 he completed the reading of the Holy Quran. In the age of 6 he delivered a lecture, sitting on the pulpit, in a big crowd. In the age of 8 he wrote the commentary on the book “Hidayat-an-Nahau” In the age of 10, wrote commentary on ‘Musallim-al-saboot’. In the age of 13 years. 10 months & 4 days he completed his education & was honored with the turban of excellence. 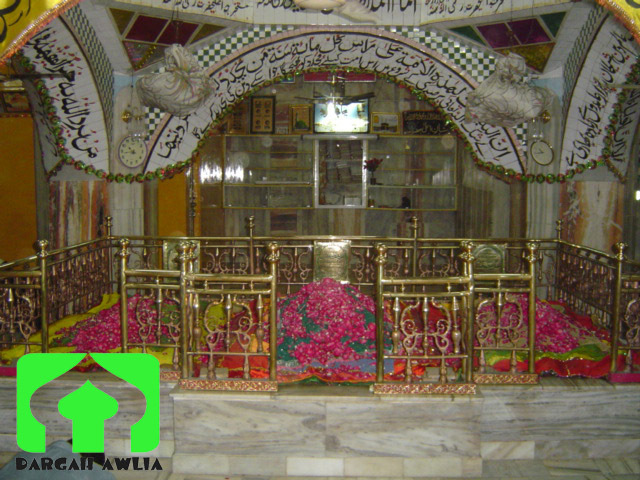 1- Imam Ahmad Raza received his education from his father, Maulana Naqi Ali Khan & various other teachers. 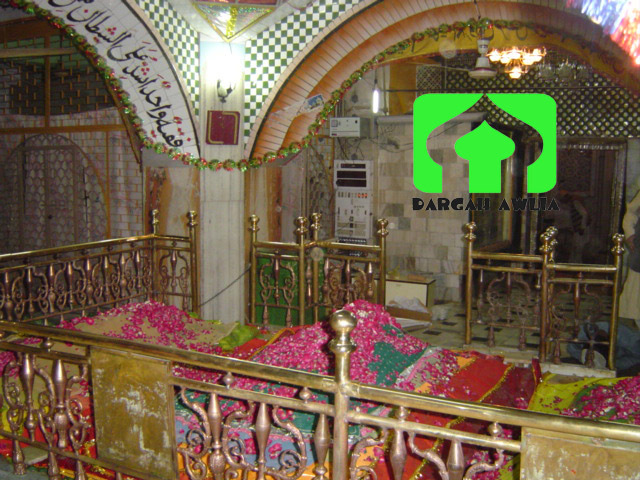 3- Hazrat shaikh Hussain bin saleh (d 1884 A.D) In the age of 18 (1874 AD) he was married & had become father of a son (Maulana Hamid Raza Khan) in 1875 A.D.
“Alahazrat means a great person. 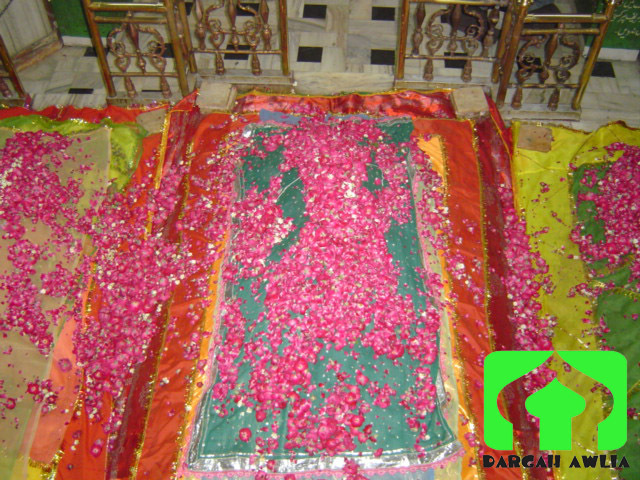 A’la means Highest and Hazrat means threshold. No doubt! 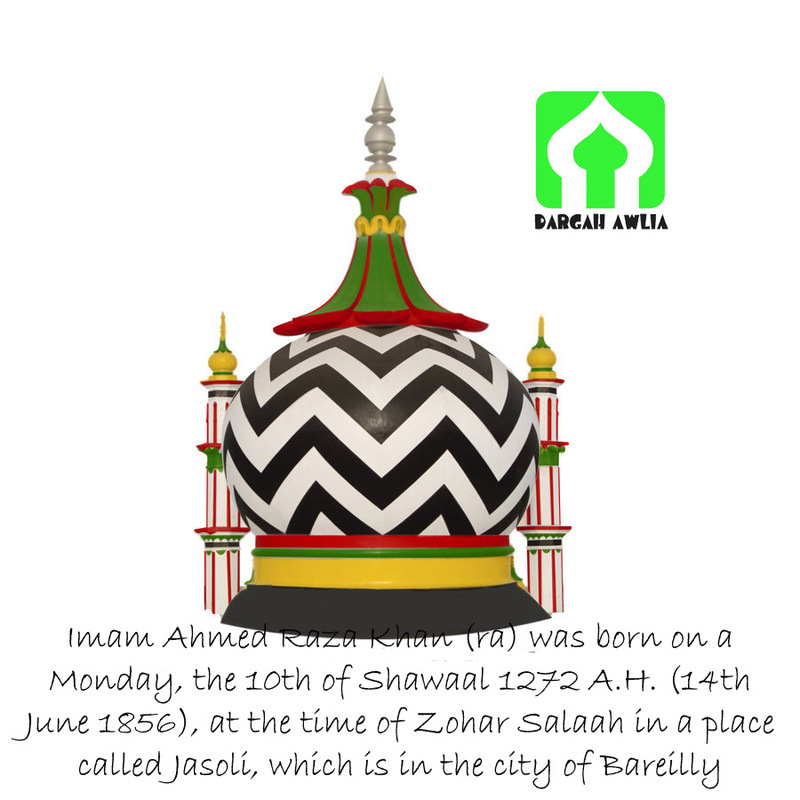 he is A’lahazrat. Today this title ‘A’lahazrat has become Imam Ahmad Raza’s name & whenever this world is spoken or written the mind of the listener or reader directly diverts to Imam Ahmad Raza & even Non-Muslims also-under stand that this is said for the Maulana of Bareilly. He conferred Imam Ahmad Raza, the certificate of six collection of Hadith & Caliphate in Qadriya Saintly order. Maulana Ahmad Zain Dahlan Makki and Shaikh Abdul Rahman Siraj Makki, the Hanfi Mufti also conferred him the certificates of Hadith, Excegecis, Jurisprudence and princple of Jurisprudence. 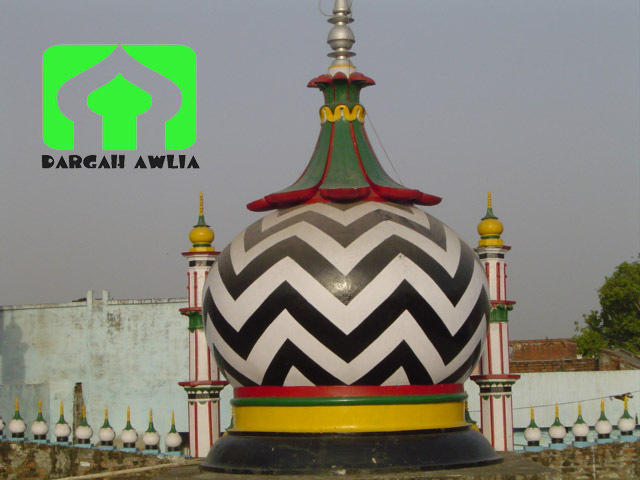 Imam Ahmad Raza and his father Maulana Naqi Ali Khan went to Marehra (a rural town in District Etah U.P.) along with Maulana Abdul Qadir Budauni, in order to receive discipleship from Maulana Syed Aale-Rasool Ahmadi, Sajjada Nasheen of Khanqahe Barkatia in 1877. “Here no body is accepted in discipleship without tranning & mystic exercise but Ahmad Raza Khan was immediately linked into saintly chain & conferred caliphate and permission too. why is it so “? “Now he could die in peace, knowing that when Allah asked him what had he brought him from the world, he could offer him Ahmad Raza in reply” . What a lovely style of proud of his disciple ? The Ulama and Mashaikh, participated the conference, verifed the declaration of Maulana Abdul Muqtadir Budauni & admitted Imam Ahmad Raza, the reviver of 14th century Hijrah. Imam Ahmad Raza went to perform his second Hajj pilgrimage & visit to the Holy Madinah in 1905. This was a historical Hajj Pilgrimage of Imam Ahmad Raza. He received a warm welcome from a number of Ulama and Mashaikh of the Holy Hermain, (The Holy Makkah & The Madinah) & other Islamic countries. The Ulama and Mashaikh received certificates, Caliphates and permissions from Imam Ahmad Raza & Wrote favoravable notes on his writings and admired his scholarship. 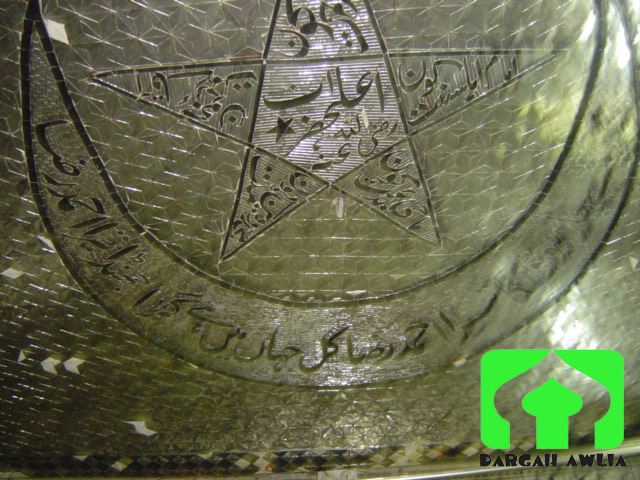 As has been said that in anti Nadwa conference Maulana Abdul Muqtadir Budauni had declared Imam Ahmad Raza, the reviver of 14th century Hijra & the Ulama & Mashaikh verified it but actually the Ulama & Mashiakh of the Holy Hermain & Muslim world confirmed it in 1905 when they ratified his fatwa of “Husamul Hermain” and paid him homage. They awarded him various titles such as :- “Reviver of Ummah”, “wonder of the world”, “Perfect teacher”. “Guide & Saint”, “supreme Alim”, “ocean of excellences & Fatawa” (Verdicts) “centre of the circle of knowledges”, “the lion of Allah”, “sword on the throat of Wahabism”, “leader of Muhaddithin & Jurists”, the great beneficence,” light of his era & the future” etc. The Holy Makkah :- Ismail bin Khalil, Ahmad Al Jazairi, Hussain bin Muhammad. The Holy Madinah:- Ahmad Bin Muhammad, Yusuf bin Ismail Nibhani, Abdul Qadir Hilmul Hasani, Abdullah Ahmad Asadul-keelani, Muhammad Taufique Al Aiyubi-Al Ansari, Moosa Ali Alshami. Syria :- Ahmad Ramadhan, Muhammad Aafandi. Egypt :- Ibraheem Al-Muattius-Saqa-ul-Shafai, Abdul Rahman. Imam Ahmad Raza passed away on 25th Safar 1340 A.H/28th october 1921 A.D, the Friday on 2:38 P.M. at the age of 68 years according to lunar month & 65 years according to solar month.